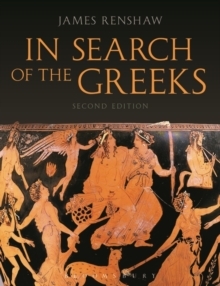 In Search of the Greeks offers an engaging introduction to the societies of Classical Greece. Making extensive use of ancient sources and illustrated with some hundred and fifty photographs, drawings, maps and plans, many now for the first time in colour, the book introduces key topics of ancient Greece. The new edition opens with a new chapter that provides an historical overview of the key events, figures and eras, and continues with updated chapters on key topics in Greek history: religion and thought, Athenian democracy, Athenian society, Athenian drama, the Olympic Games and Sparta. Activity boxes and further reading lists throughout each chapter aid students' understanding of the subject. Appendices provide further information on Greek currency values, Greek musical instruments and the Greek calendar. Review questions throughout this book challenge students to read further and reflect on some of the most important social, political and cultural issues of classical Greece. Many topics raise issues of contemporary relevance, such as the rights of citizens in a democracy, forced marriage and approaches to education. The book is supported by a website which, contains comprehensive resources on the social, political and cultural issues of classical Greece.